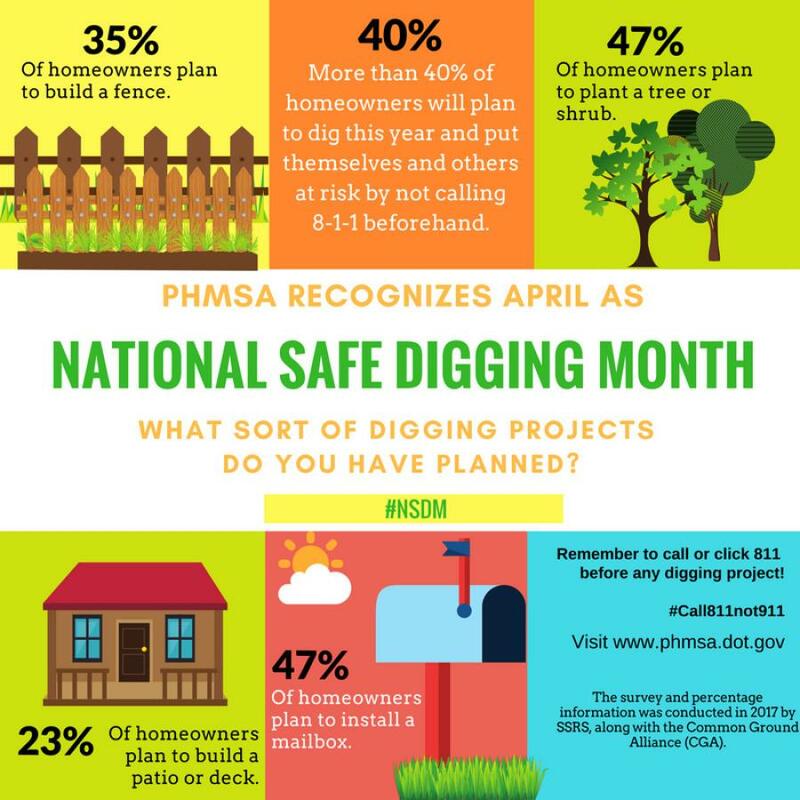 The U.S. Department of Transportation's Pipeline and Hazardous Materials Safety Administration (PHMSA) recognizes April as National Safe Digging Month. Although excavation damage is the leading cause of serious pipeline incidents, it is easily preventable with one call (or click) to 8-1-1. Established in 2002, 8-1-1 is a national, toll-free, one-call notification center system that has become the most effective way to combat excavation damage. It does this by connecting callers with a local one-call center which dispatches a locator to mark any underground utilities in your yard that could be damaged during digging projects. Practicing safe digging can prevent injury, pipeline damage and even death.